We’ve set a goal of 1800 NAMA members by the end of 2018 – 18 in ’18. Our latest membership survey proves that word-of-mouth marketing is the best way to let people know about the great programming and networking opportunities in NAMA. We challenge everyone in the organization to recruit a new member. Just have your recruit(s) list your name in the “Referred by” field on the registration page https://nama.org/NAMA.OrchardWeb/MemberRegistration/Register. We’ll draw names of “Referrers” each month for a special gift. We’ll update this chart each month. 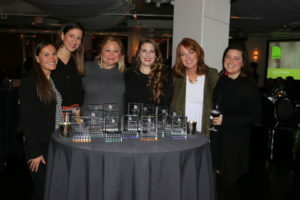 Check out some pictures of the Best of Show Winners from the Region II Best of NAMA Awards Banquet at Grand Street Cafe in Kansas City, MO on January 10. Click here to view the full album. 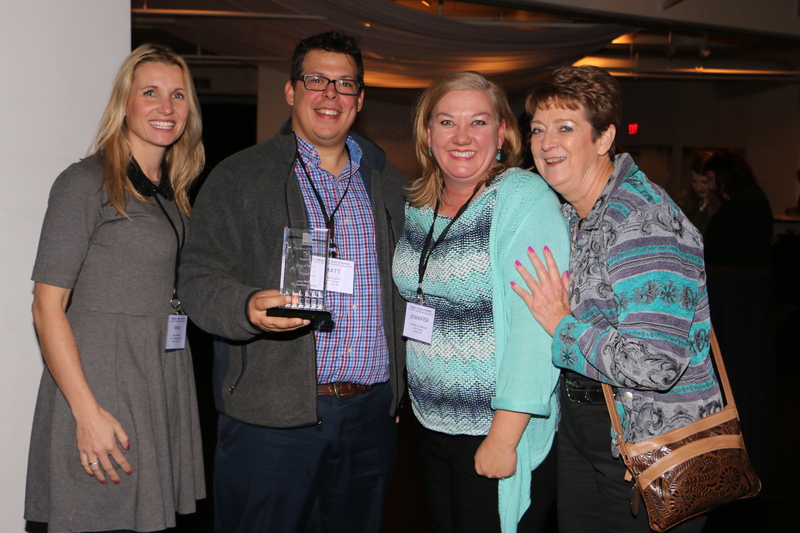 Click to view a list of the Region II Best of NAMA Award Winners! Buy advertising from the best ag media companies at great prices while donating to a great cause! The Agri-Business Educational Foundation Media Auction is open for bidding! Proceeds from the Media Auction support the Student NAMA Careers Program. The Media Auction is available online through the NAMA website. Click here to view the media packages and to purchase! For questions, call the NAMA office at (913) 491-6500 or email Sherry Pfaff. To recognize the contributions of the hundreds of volunteers and leaders in the agriculture, food and fiber communities who are dedicated to increasing public awareness of agriculture’s vital role in our society, the Charles Eastin Outstanding Service Award will be presented to an outstanding individual who has contributed as an advocate for communications between farm and city. • The nominee can be any person over 21 years of age. • The person may be nominated by anyone active in agriculture. • The completed application should be submitted online at www.agday.org by February 2, 2018. • A three-member committee, including at least one member of the ACA Board of Directors will judge the applications and select the recipient. • The award will be presented at the National Press Club on March 20, 2018. • The winner will be reimbursed for reasonable travel expenses to attend the annual Ag Day event. The Charles Eastin Outstanding Service Award is named in honor of Charles “Charlie” Eastin, DVM, who passed away at the age of 86 on January 28, 2011. Dr. Eastin played an important role as a board member of the National Farm-City Council for many years. He served as the 35th Chairman of the NFCC from 1992-1994 and through the years, has chaired and served on many committees. Through his efforts, Lexington, Kentucky hosted a NFCC National Conference in the early 1990’s. As chairman of the Rural Urban Committee, he worked to build and maintain collaboration between the Lexington Rotary Club and University of Kentucky to host activities to further National Farm-City Council goals during Farm-City Week every year. Click here to view the guidelines and to fill out the application. Mark your calendars now! You are invited to a joint cocktail reception hosted by the American Agricultural Editors’ Association and the National Agri-Marketing Association at Commodity Classic in Anaheim! Are you communicating to ag audiences effectively? The changing landscape of ag communications. It was once fairly simple. Ag magazines. Radio. TV. Direct Mail. Then, the Internet arrived. Social media. Smart phones. Twitter. Blogs. Today, reaching ag audiences effectively – including growers, crop consultants, retailers, influencers, decision-makers – is more complicated and challenging. In addition to the various communications channels, every individual has individual preferences. To help sort it all out, January Cornhusker NAMA program will feature a diverse panel of ag practitioners who will share practices, experiences, preferences, successes and challenges related to communicating and receiving messages and information. Matt and Tina Rezac grow corn and soybeans on their operation located in Saunders County, Nebraska. They are progressive farmers, continually striving to be innovative in the pursuit of economic and sustainable solutions to increase their farm’s efficiency. Their focuses around soil health, water efficiency, energy usage, and nutrient use efficiency have made them leaders in driving adoption of sustainable technology, practices, and products. Matt and Tina are strong influencers and do a great job sharing the “Ag story.” They lead by the examples set on their own farm. Levi hails from Holdrege, Nebraska where he spent several years working on the farm and for a local ag retailer. He started in the cooperative system while attending college at Nebraska College of Technical Agriculture in Curtis, Nebraska where he graduated with an Ag Business degree. He currently serves as Frontier Cooperative Agronomy Operations Manager. 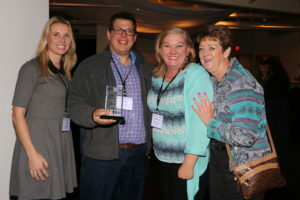 As editor-in-chief of the digital newsroom for DTN/The Progressive Farmer, Greg leads a team of reporters, editors, commodities analysts and meteorologists who supply the content for various DTN platforms. His position includes involvement in strategic planning for the DTN Agriculture business unit. Greg is a graduate of the University of Missouri – Columbia with a degree in agriculture journalism and grew up on a general crop and livestock farm in central Missouri. Stuart joined Swanson Russell in 2015 as media planner working on B2B and consumer accounts in agriculture, landscaping and outdoor recreation. 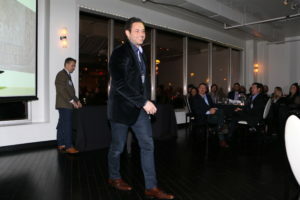 Since graduation from Truman State University in 1993, Stuart has experienced the communications evolution first hand with the advent of web, social media and other channels that have changed traditional mass media planning approaches to a more refined and specialized science. Stuart specializes in identifying and targeting media platforms and channels that most effectively reach different target audiences, especially farmers, as well as other ag-related audience segments. Celebrate the achievements and impressive careers of the very best in agriculture. NAMA has FOUR different opportunities, including a new award, with upcoming deadlines. 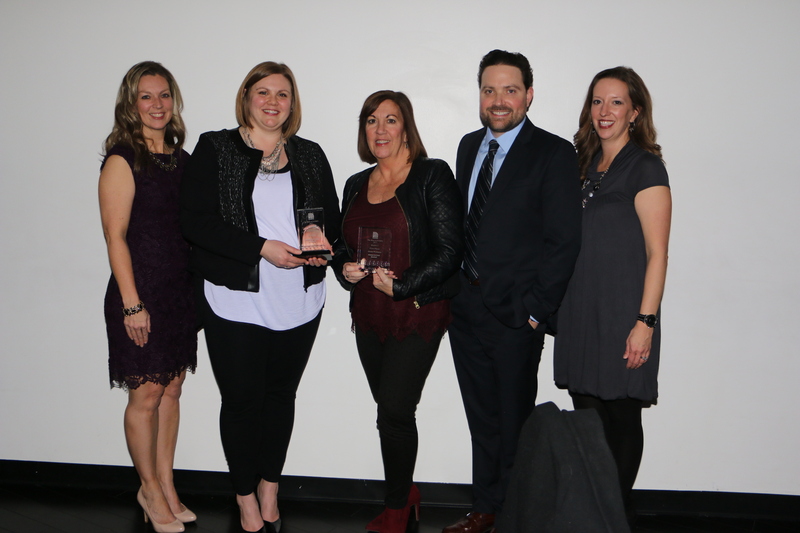 Winners of these prestigious awards will be honored at the 2018 Agri-Marketing Conference, April 11 – 13, in Kansas City, MO. Check them out below. This new award recognizes outstanding achievement in association or commodity organizations. Click here to find more information about this award and fill out the online nomination form. Nominate a leader with amazing achievement in agriculture and the food and fiber industry. Click here to find more information about this award and fill out the online nomination form. Can you think of a NAMA member who has outstanding accomplishments in the field of agri-marketing? 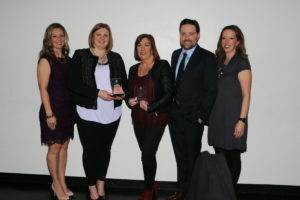 Click here to find more information about this award and fill out the online nomination form. Know someone with a bright future in the industry? Now’s the time to shine the spotlight on them! Click here to find more information about this award and fill out the online nomination form. Submission deadline is January 19, 2018. Contact Jenny Pickett at jennyp@nama.org if you have any questions. 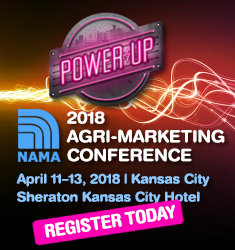 Start planning for 2018 and register for the Agri-Marketing Conference in Kansas City! We’ve recruited the first female F-14 Tomcat Fighter Pilot to serve in the U.S. Navy, a business author acclaimed by The New York Times, and a successful Hollywood actor to serve as keynote presenters. Details on top notch breakout sessions will be available soon. Don’t forget about the other conference events! 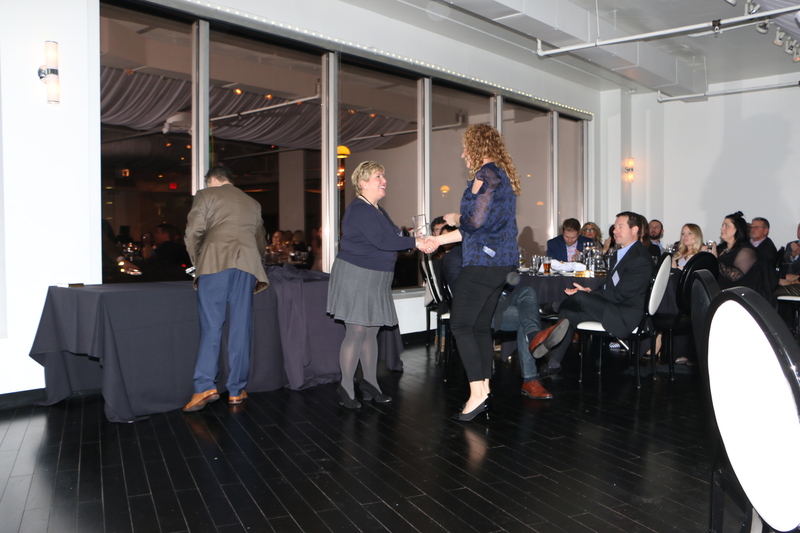 Support Student NAMA at the ABEF Topgolf Outing, get your company noticed in the Connection Point and bid on the great Silent Auction items in Kansas City. Sponsorship opportunities are available. Contact Jenny Pickett at jennyp@nama.org. Check out the website to find information, hotel reservations and much more!